“The mental health of families is an important public health issue with implications for individuals, the services they use, those who provide them, as well as policy makers and society in general” (Falkov, 2012; p.24). 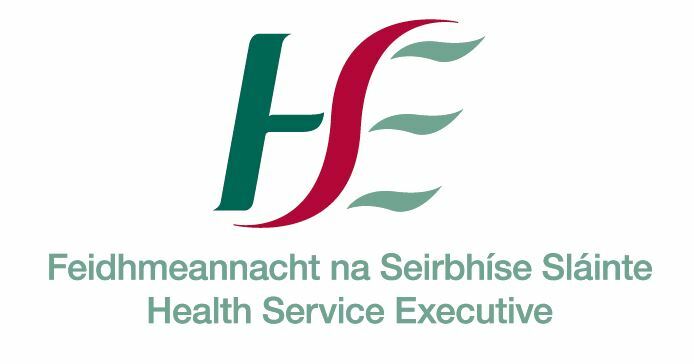 Our new PRIMERA (Promoting Research and Innovation in Mental hEalth seRvices for fAmilies) programme of research – funded by the HSE from 2017-2021 – is investigating how best we can deliver mental health services and interventions to families where a parent has a diagnosed mental illness. Collaborating partners in the study include the HSE, Tusla, Saint John of God Hospitaller Ministries, Children and Young People’s Services Committees, Advancing Recovery Ireland, and organisations from the community/voluntary sector. Mental illness exacts a significant personal and social toll on individuals, families and communities whilst incurring huge economic costs – €11 billion per year in Ireland alone. Recent years have seen growing recognition of the importance of parental mental health and the need for more integrated and effective service responses to parents with mental illness and their children (e.g. Wilson et al., 2010; HSE, 2015). Up to one in five young people live in families with a parent who has a mental illness (Reupert et al, 2012) whilst in the UK, approximately 1.7 million adults and 2.5 million children are affected by parental mental illness (Tunnard, 2004). However, the complex needs of these vulnerable families often go unrecognised and untreated, whilst the evidence for family-focused mental illness interventions is also very underdeveloped. Fifteen sites from across the Republic of Ireland have agreed to deliver a family-focused intervention as part of the PRIMERA research. Organisations involved in delivery include: HSE adult and child mental health services, primary care, Tusla Child and Family agency, Saint John of God Hospitaller Services, Recovery College South East and the community/voluntary sector. In many sites, the family-focused intervention is being delivered on an interagency basis. Twelve sites are involved in delivering Family Talk and three sites are delivering another model of family-focused practice (systemic family therapy, and multi-family group work). The Family Talk sites will be evaluated using a randomised controlled trial design, with embedded implementation and costs evaluations. The other three sites will be evaluated using a mix of questionnaires, surveys and interviews. Experiences of all participants will be consulted, including families (parents, children, and partners), service providers (clinicians, managers) and higher-level management within collaborating organisations. Free online training for clinicians on Emerging Minds website (takes 10 hours) – see Family Talk online training here and see the Training and Resource Hub sections below. What is Systemic Family Therapy and multi-family group work? Systemic Family Therapy involves working therapeutically with individuals together with their families and/or significant others and enables the use of individuals’ relationships as a resource, and reduces stress and difficulties for all family members. Systemic family therapy has been found to be effective for children’s and adults’ difficulties, both when individuals have acquired a mental health diagnosis and when there is more general or complex distress. It is effective across the lifecycle, spanning developmental stages from young children to old age (Carr, 2014). Multi-family group work involves a two-day workshop with 4-5 families (parents and children) at the workshop. Therefore there will be 15-20 participants at the workshop. The workshop will be preceded by preparatory meetings with each family and follow-up meetings will also be conducted. The intervention has been co-produced with service users and will also be co-facilitated by trained service users. The intervention draws from a range of family work models, including the Maudsley model, McFarlane’s multi-family work model, systemic family therapy, narrative therapy, dialogical approaches, recovery principles and transformative group work. There is a strong evidence base for both methods in mental health family work (NICE, 2014), although this evidence is not specific to families where a parent has mental health difficulties. Therefore, we are interested to investigate their effectiveness in an Irish service context. The early phase of the research has led to considerable media coverage from national radio, newspaper and social media platforms, thereby enhancing public and service awareness of the need to support these families. Click on the hyperlinks to see the coverage. Professor Sinead McGilloway is Principal Investigator of the PRIMERA programme (and also Director of the Centre for Mental Health and Community Research). Dr Mairead Furlong is a postdoctoral researcher with the PRIMERA research programme (and formerly a member of the ENRICH research team). Christine Mulligan completed her BA (Hons) degree in Psychology at Maynooth in 2017, achieving second in her class. She is now the PhD Scholar on the PRIMERA research project, undertaking a process evaluation of the introduction of a family-focused preventative intervention to address the impact of parental mental illness. to be appointed in due course. Thank you for taking part in the PRIMERA research project. Below you will find a link to a survey for children and adolescents (8 years to 18 years) who are taking part in Family Talk. Also, if this is your FIRST time doing the survey, click on the link below to enter our online survey. Thank you for taking part in the PRIMERA research project. Below you will find a link to a survey for adult PARTNERS who are taking part in Family Talk. If this is your FIRST time doing the survey, click on the link below to enter our online Partner survey. Following doing the Family Talk training, we advise that clinicians look at the PRIMERA Resource Hub (at the bottom of the webpage). It contains excellent supplementary material on how to identify and work with families impacted by parental mental illness, including: (a) how to initiate conversations with parents, (b) recruit partners and children, (c) psycho-education tip-sheets on different mental illnesses; and (d) includes the manuals for the Family Talk intervention with many other relevant resources.